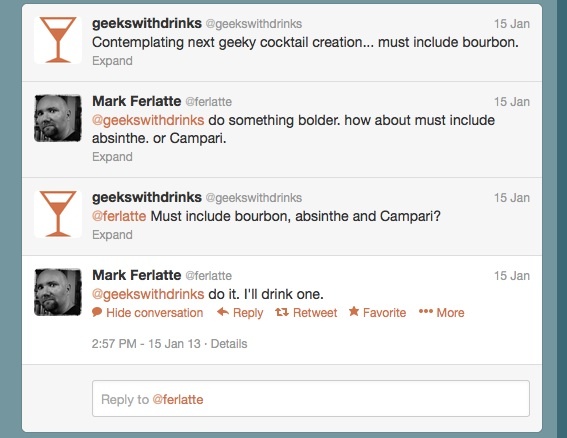 Last week, I had a great Twitter conversation with @Lexi_Andrist and one of my all time favorite whisky drinking friends @ferlatte about the desire for a new drink with both bourbon and the bitter aperitif Campari. 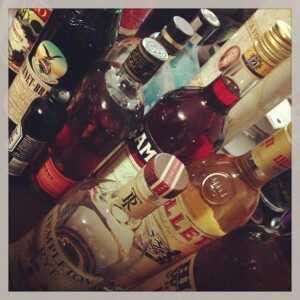 Ok, so I also picked up some Lillet and a bottle of Fernet while I was there, what’s a cocktail geek supposed to do? Thus began what I’m calling phase one of Operation Campari & Bourbon. After some poking around online, I found a fantastic history piece in New York Magazine describing the Boulevardier a classic Bourbon and Campari cocktail I had never heard of before. As a fan of simple and classic, this seemed like a promising start to my adventure. Directions: Stir long and well with ice in a mixing glass and strain into a cocktail glass. Add one or two cherries. 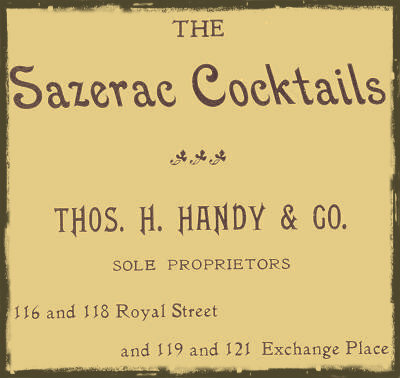 Directions: Stir long and well with ice in a mixing glass and strain into a cocktail glass. Add one or two cherries. I guess you could also use a orange slice or a lemon twist if you prefer (but… but CHERRIES!). 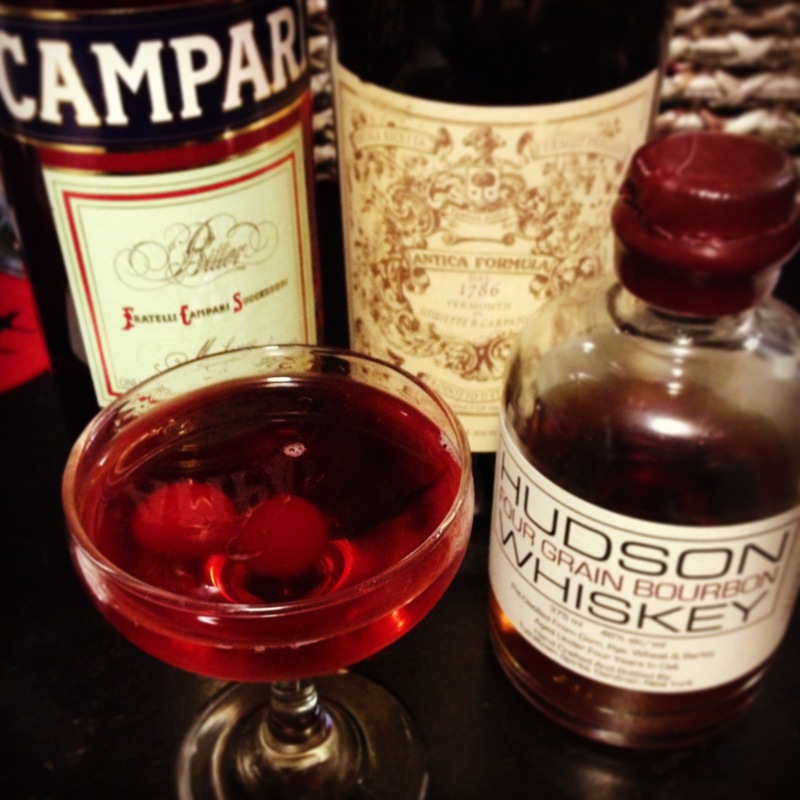 Results: Much better, I think the Antica was a bit too overpowering, didn’t work well with the Campari. This is very drinkable. 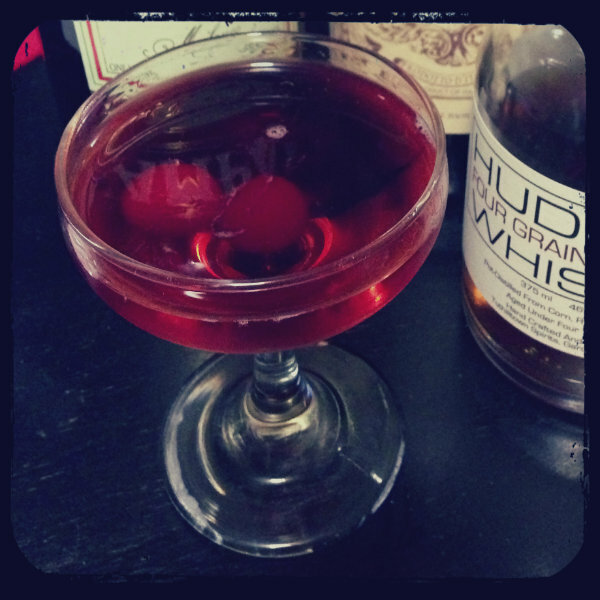 I’m curious to try this recipe with a Rye… and I still need to figure out how to work in the Absinthe (maybe a wash?). Stay tuned, I think there are more Campari/Bourbon experiments in my future!